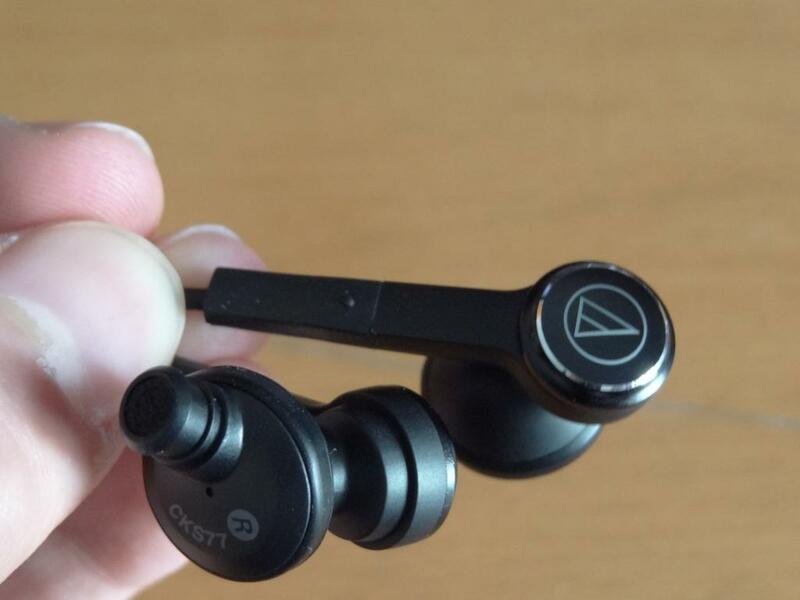 The Audio-Technica ATH-CKS77, abbreviated as the CKS77’s are an interesting earphone that I was recommended to try. These earphones I found, were an absolute steal at their price of around £60. They come at a very competitive price range, but I feel absolutely deserve to be in a high price bracket, £100+ rather than the sub £100 category. 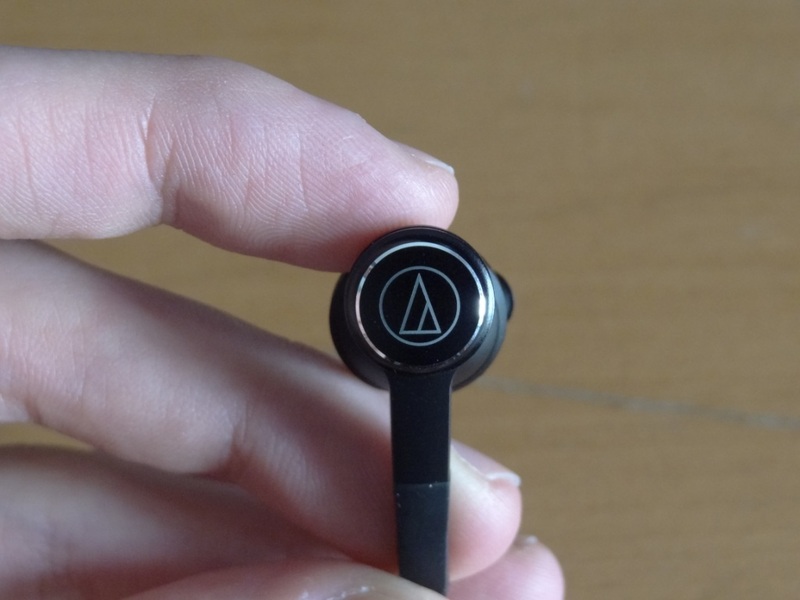 However like with almost every earphone I’ve heard these, aren’t perfect and especially are not suited for everyone. The packaging of the CKS77 was very simple – just as if you bought these off the shelf off HMV – it isn’t anything special, nor worth noting about in fact. 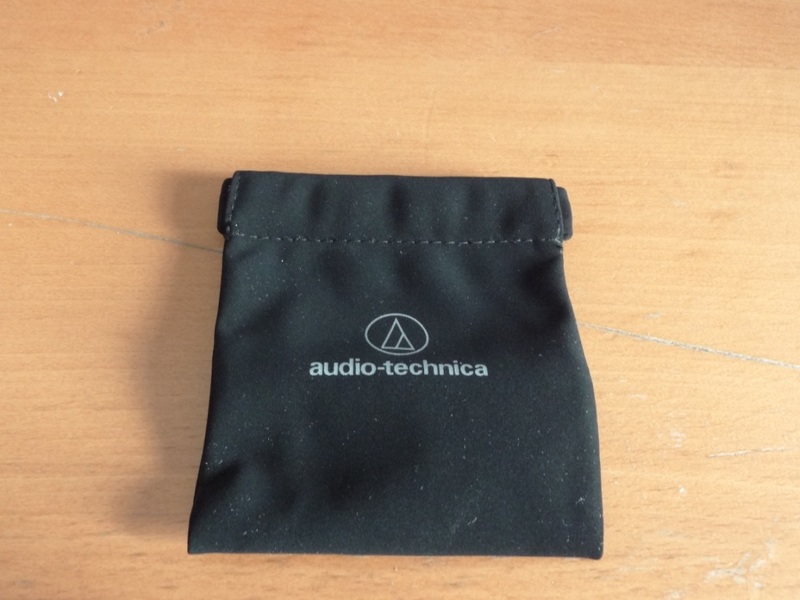 The accessories, a little like the packaging, they were pretty standard, however the reasoning behind the 6/10 ratings was mainly because of the lovely pouch provided by Audio-Technica. 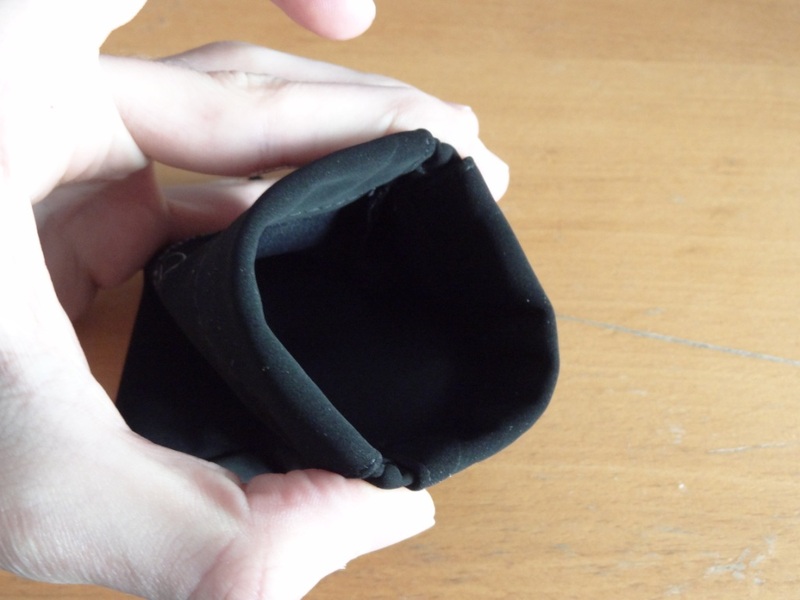 I find that this little pouch is very much a pouch that I would use, and have used to transport these earphones around with me. Granted they aren’t going to protect the earphones from any knocks and bangs, but I rather have something in my pocket, rather than in a suitcase. 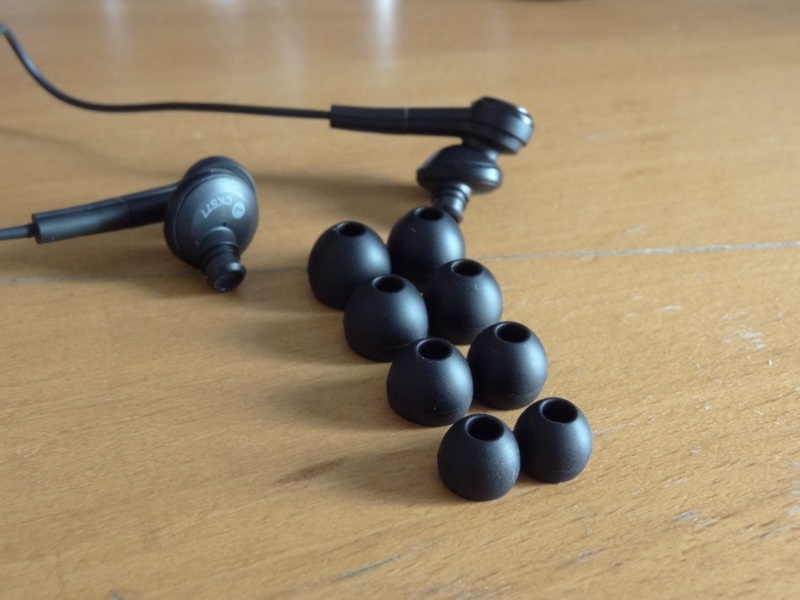 The earphone tips provided were your standard silicone pairs of tips, you got L, M, MS, S.
My overall first impressions were not really special – I just loved the pouch provided above all else, and caught me by surprise to find it included! The build quality of the CKS77’s is decent, although it could have been a little better, and by this I mean there is no earphone splitter/cable manager (the thing that puts the left and right earphone wires together) – which means that more often than not I have left there having to untangle the left and right earphone from each other. The wire quality is nice at first glance, but also get’s a little tangled. That said, it’s nothing as bad as the Sony EX series earphones I have owned in the past. One thing that really has to be noted about the wire quality of the CKS77’s is the microphonics. I found them a little unbearable, a little like the MG7’s (worn down). 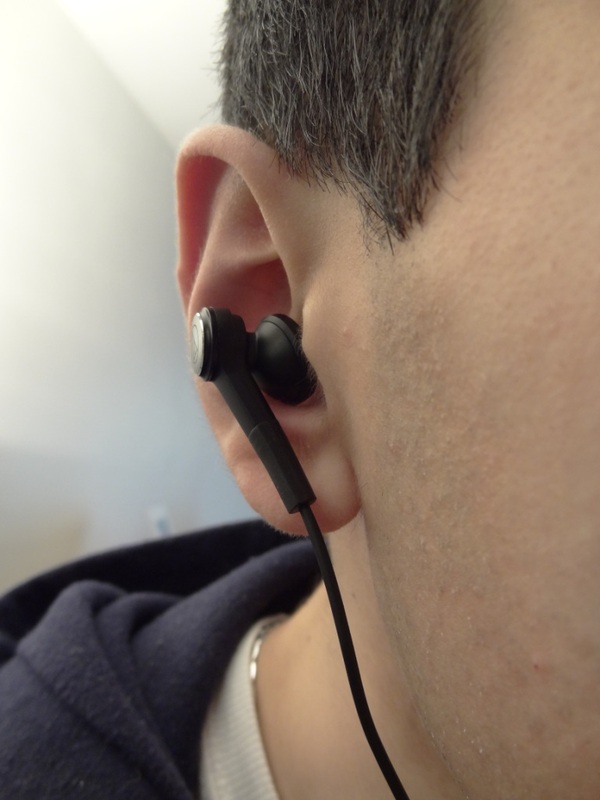 The only difference here is that the CKS77’s cannot be worn over-the-ear, meaning that you are stuck with the microphonics of the earphones. What I quite liked about the MG7’s is that I could easily rectify this. I wish it were the case with the CKS77’s, but it isn’t. 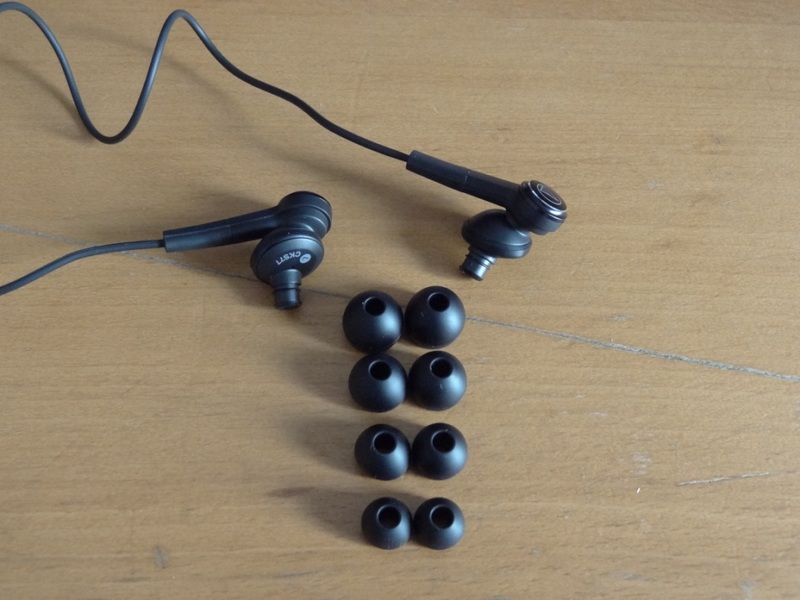 Thus, if you want to use this really portably, running or any sort of sports, I think you’ll find these earphones quite unbearable due to its microphonics. The look and feel of the earphones is quite good, I do like their look, you can even see that double chamber which Audio-Technica show on their packaging. However, I do find the earphones to be reasonably big, especially where the wire goes into the earphones. 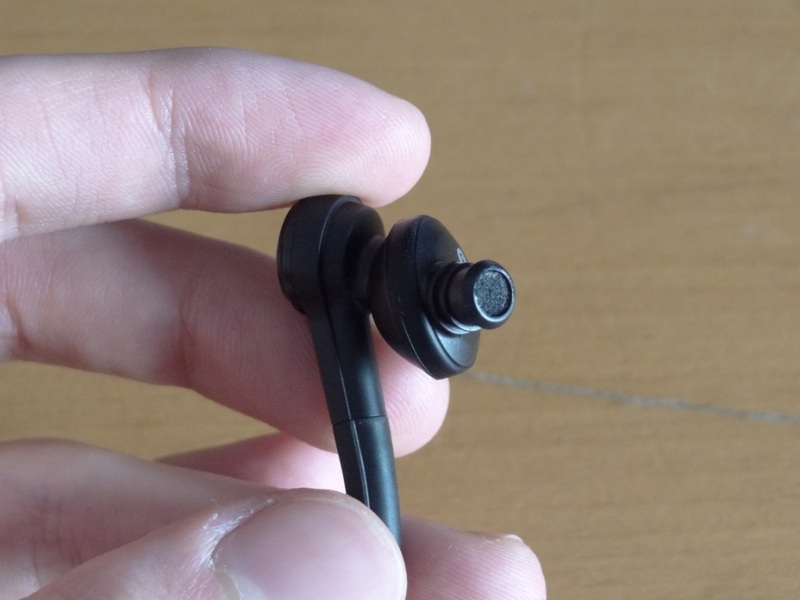 The actual housing stretches down from the earpiece, but then is accompanied by a rubber strain relief. I like the strain relief don’t get me wrong, but it would have been a little better if the housing wasn’t as long as it was; because of this, the earphone’s strain relief almost touch my cheek. Due to its design, I found the CKS77’s don’t actually isolate that well. They almost remind me of one the first ever earphones I had owned, which were some earbuds that had a little bit sticking out, which coincidentally went into your ear, making them “in-earphones”. That said, the isolation isn’t bad, but it’s below average. I would say at this price point, the EX510′ isolate much better, and that’s saying something, as the Sony’s are known not to isolate greatly. 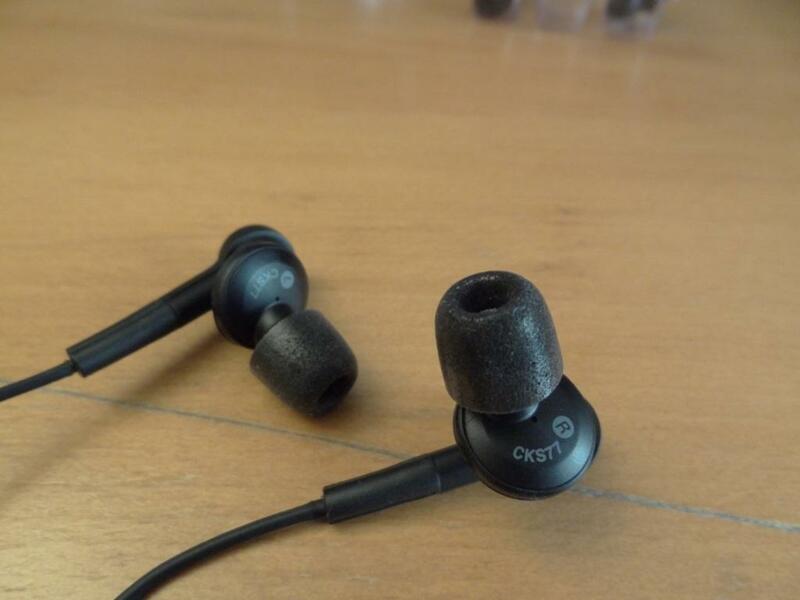 Imagine the CKS77’s as being like the Sennheiser earphones, where they kind of sit in your ears, rather than go deep. However, it has to be noted that when paired with some Comply Foam tips, such as the TX-500’s, the CKS77’s have much better isolation, and thus isolate better than the Sony’s with normal silicone tips. These are actually very comfortable earphones to wear. They sit in your ears and sit there being cute. No, but honestly, these are comfortable earphones to wear. Again I wouldn’t suggest running with them, however if you’re sitting down, I think you’ll find them quite comfortable. Now after a little reading by now, you might think I hate the CKS77’s – Au contraire mon ami! as Hercule Poirot once said. These are absolutely brilliant sound wise. Yes of course the build quality might not be perfect, the design might not be he best, and the microphonics might be unbearable, but the sound quality of the CKS77 is something to absolutely admire. 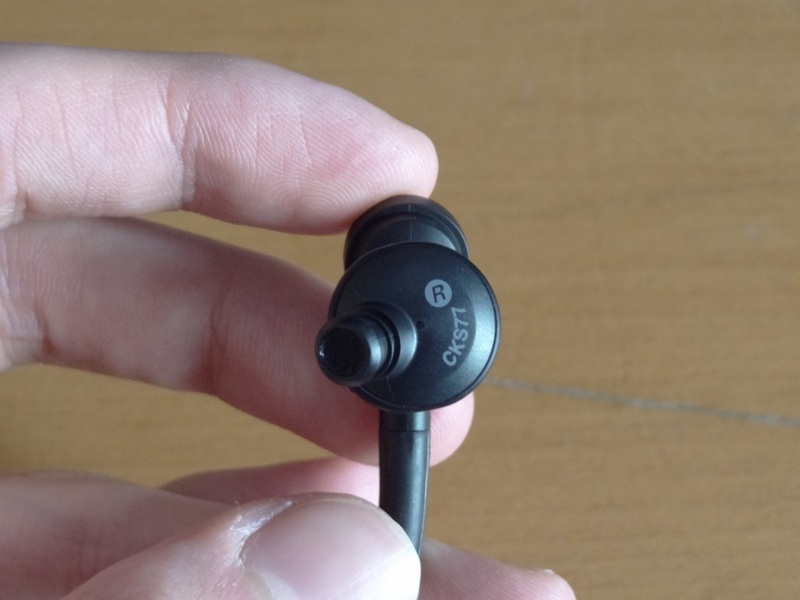 These have to placed within the best earphones I have heard – Although it really has to be noted that these have a large presence in the mid-bass category, and thus give you a pounding sensation. 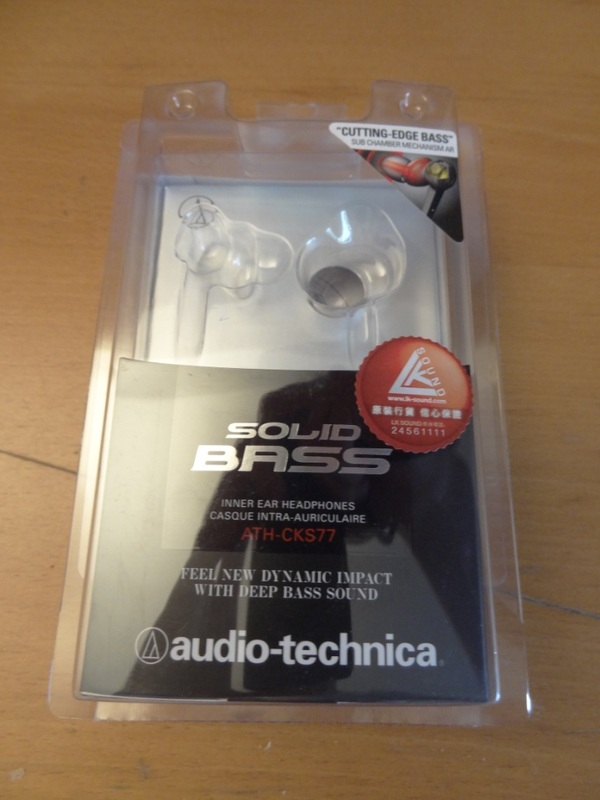 I know from users that used the TFTA 1XB and 1V, that the bass was too much for them – I think the CKS77 is around on par with the TFTA 1V bass quantity wise. So it really is a basshead earphone – if you don’t want pounding bass (regardless of it’s other sonic characteristics) I doubt these earphones would be for you. They are labelled “solid bass” for a reason! The lows are by far one of the most noticeable things you will hear out-the-box. I did find them to tone down after several hours of burn-in, but the lows of the CKS77’s are very powerful. The mid-bass to me, feels and sounds like the MDT’s and the TFTA 1V’s. It is rich, powerful and very much present. The sub-bass too, is actually very, very good. I would class this as the 2nd best sub-bass earphones I have heard. 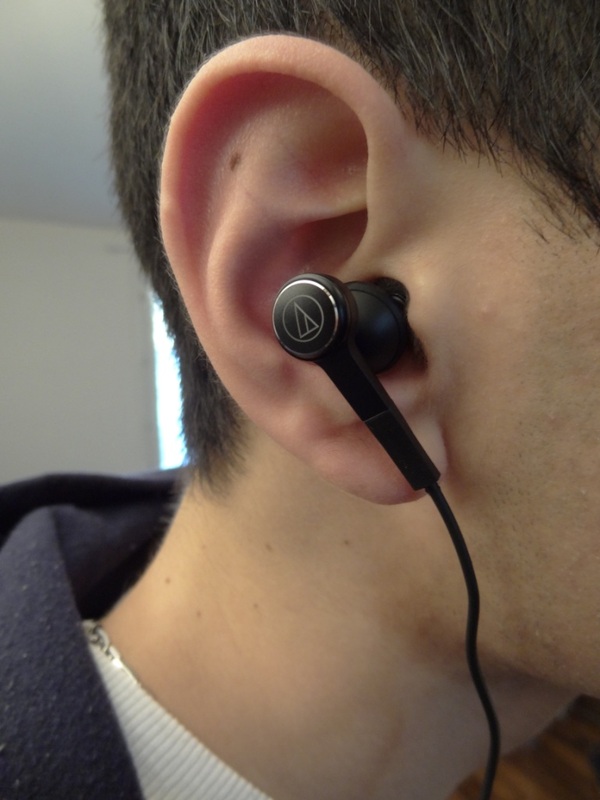 I felt that the MG7’s edge it out on the rumble of the sub-bass region, but by only a whisker. Although some might feel the CKS77’s wipe the floor, I felt the CKS77’s were dominated by mid-bass with the accompany of a deep sub-bass rumble, whereas the MG7’s had little to no mid-bass in comparison to the CKS77’s but instead concentrate on their sub-bass rumble. Now here is where it got interesting: Most earphones I have heard that have large bass quantities, especially in the mid-bass category often over-shadowed the mids. CKS77’s are one of the first earphones that I have heard that don’t really take such a hit on the mids. Of course the mids will sound a little tainted and won’t be crystal clear in comparison to something that doesn’t have any bass presence whatsoever, but overall the mids of the CKS77’s are crystal clear – they are perfectly sufficient to suffice people’s needs. So if you’re looking for an earphone that has a large mid-bass presence, and want to loss in the mids, then the CKS77’s are a clear winner. Above the MDT’s in my book, especially price wise. The highs also have a nice sparkle, and refinement to them. They aren’t really rolled off, and work really well with the dual chamber design. I feel that these don’t hurt your ears, nor leave them wanting for more sparkle. The treble is pretty much perfect to me. The soundstage is also impressive. That dual chamber, that I mentioned earlier, works wonders for the soundstage. Whereas on the MG7’s I felt like I was in a closed room, the CKS77’s make me feel like the sound was travelling through 2 rooms before hitting you. Of course it doesn’t sound like a concert hall, so don’t expect that wide soundstage, as found on the IE7/8’s or the ASG-1’s, but the soundstage to me was perfect. I really felt that the combo of the chamber design and the overall sound of the earphone came together for a more than pleasant surprise and delight. Overall, these are absolute gems, although as said before if you are into moving about a lot, the microphonics might annoy you, more so if you aren’t really a basshead, then I wouldn’t recommend these to you either, whereas the MG7’s would be probably a better choice, simply because of the more flatter sounding sound spectrum. I really have rated these quite highly, as I feel the deserve it. I would in fact not be surprised to pay £150 (which is almost 3x its RRP) or so for them, they are that good at least for my liking. If you are a basshead, and want clear mids then these are your first and probably the only stop you’ll ever have to make. This entry was posted in Audio Reviews and tagged ATH-CKS77, audio, CKS77, mid-bass, Review, Technica on May 8, 2012 by TotallydubbedHD. Sounds like these should be a fun and worthy purchase. Indeed! My pair are up for sale! These have the worst microphonics I ever heard. What does it take to get a 1 on your scale?! Any other in-ear with worse microphonics? Haha! Finally someone agrees that they are horrible. What’s funny about this, is that some people on head-fi were recommending these for on the go, like cycling lol! I didn’t go on a lower rating, as i felt it was bearable to some extent. But i agree they were horrible. Thank you so much for this elaborate review: I bought those iem and am the happiest basshead ever since! Merci beaucoup pour cette review enthousiaste qui m’a poussé à acheter ces intras, ce que je ne regrette pas du tout: tu les as parfaitement décrits. Pwah! Super combo! J’aime bien les boites de Cmoy, elles sont mignonnes haha! The isolation’s bad cause you didn’t wear them properly. See that rubberized ring on the side of the large chamber? It should be riding on the corner of the inner part of your ear. Well im a bit dissapointed with the bass amount. I had no complain with mid and high. In ear for me should have bass comparable to On Ear headphone, since I used them in train or bus to office. Clarity and detail is second consideration. I had Backbeat pro and MDR1A over-ear for detail. 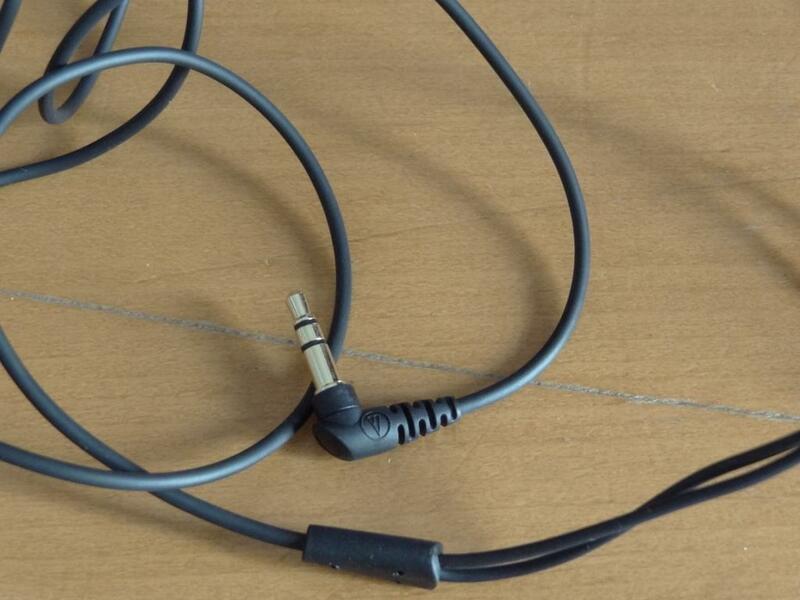 I guess no IEM can match JVC reflects BT in terms of bass. It easily overpower M40x and M50x. I’m surprised to hear that – the CKS77 has one of the biggest impact and extensions in therms of bass that I’ve ever had.